In a well-lit room on August 29th, 2012, President Barrack Obama sat in front of a computer, uploaded a picture of himself, and began answering user-submitted questions on Reddit. Some might have claimed that this was a cheap way to win over voters, but let’s think about this for a little: it wasn’t all that long ago when we considered social media to have limited value as a publicity platform for anyone that wasn’t in a garage band. Even when Congress members started signing up for Twitter accounts, few of them were using it as a way to interact with their constituents. In fact, a 2009 study showed that Members of Congress were using just 7% of their tweets to interact with citizens. Obama’s AMA serves as proof of what we’ve all expected for quite some time now: social media is not just a broadcasting platform, but a viable way for policy makers to interact with the people that vote for them. 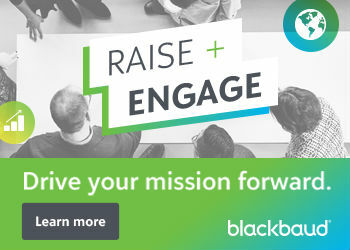 But how can policy and advocacy organizations take advantage of this newfound appreciation for engagement? Can we really rely on social media to reach politicians? One of the biggest advantages of social media is that—unlike the letter writing and petitioning of yesteryear—we now have more accurate, actionable data about the people who are reading our messages. But that isn’t to say it’s simple. No matter what anyone tells you, it’s almost impossible to measure the success of your social media campaigns by using only one measurement tool: accurate reporting relies on a suite of analytics tools (most of which are available for free) and a fair share of thoughtful analysis. To truly determine if you’re using social media to reach the right people, you’re going to have to take a deep look into how your target audience behaves. NYC Mayor’s Office: following 384 users. Notice that each of these policy makers is following a pretty limited number of accounts. And if you start scanning the list of people they’re following, you’ll notice that it’s mostly news reporters, other policy makers, and local NPOs (as well as the occasional parody account) that make it into their news feeds. The lesson here, as it is in many other scenarios for social media, is to think about who you’re actually targeting. If your organization already holds a bit of sway in your local community, there’s a chance that you’re have to reach the people they’re following first. 2. Drive Meaningful Views: Let’s talk about actual site content for a moment: there’s a good chance that you’re using social media to drive an audience to your site. Google Analytics will help you track how visitors are behaving once they get there. The Social Traffic Sources report allows you to segment behavior based on which social media network drove users to your site, including how many pages they visited and how much time they spent on your site. One of the biggest advantages to Google Analytics is that you can get a good sense of whether or not visitors are actually engaging with your content. For example, you might see a large spike in traffic on a particular day and notice that it’s coming from a blog post that’s been shared on Reddit. But what if those Reddit viewers are spending less than 30 seconds on your website? Are those viewers engaging with your site in the way you want them to? Unless your post is only a couple of sentences long, then probably not. What’s important here is that you should be favoring quality over quantity. It’s great if you can use a new social media platform to drive users to your site, but if they’re not spending a significant amount of time engaging with your content, you have to think long and hard about whether that platform is driving the right audience. 3. Time It Right: Let’s say you run the Twitter account of an advocacy group in Mesa, Arizona. You want to be sure that Scott Smith, your local mayor, is reading your Twitter feed. You are Tweeting on Saturday, right? Because according to Tweetstats—a free resource that allows you to access usage statistics for any public Twitter handle—that’s when Mayor Smith is Tweeting the most. Surprising? Not really: studies indicate that Twitter engagement rates for brands are 17% higher on Saturday and Sunday, and this makes even more sense once you start thinking about Mayor Smith’s day-to-day responsibilities. Now I’m not suggesting that you manually track the behavior each and every one of your followers. 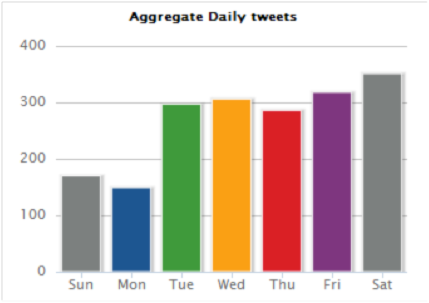 But you can use tools like Crowdbooster to get a sense of what time Tweets are receiving the most engagement, and use Tweetstats to figure out what days and times you tend to Tweet the most. This will give you a sense of whether you’re pushing content to your audience at the right time. Just remember that if you want your message to spread far and wide, you’ll also want to spread your message throughout the full course of the week. Pay close attention to the times your content is seeing the most frequent engagement, and optimize your content publishing schedule accordingly. 4. Be Flexible: Of course, there is always the off-chance that none of these tips are going to be valuable for your organization. I’d love to tell you that there’s a tried-and-true solution to see if you’re reaching your local policy makers, but it’s going to take constant measurement of user behavior and consistent adjustment to your social media strategy. More than anything, I hope this points to how important it is to outline clear social media goals and develop a strategy that will help you achieve them. Before you can even begin to measure how successful you are in reaching policy makers, you have to identify how to reach them first. Mark Cugini is a creative associate at Threespot, where he has recently contributed to projects for a number of nonprofits and policy organizations. A member of the social media team, he believes that a thoughtful approach to measurement and a keen eye for detail are vital to implementing a successful social media strategy. Mark holds an MFA in creative writing from American University. Prior to joining Threespot, he was a college writing professor in Baltimore, MD. In his spare time, he reads, writes, and edits an independent literature journal called Big Lucks.